The Transport Planning Society’s bursary scheme encourages Young Professional members of TPS to produce a piece of structured thought on a topic of current relevance to transport planning, supported by a mentor who will be a senior member of the profession. The value of each bursary is £500. The bursaries provide a great opportunity to expand your knowledge of your chosen topic, raise your profile within the profession, promote your career development and to benefit from your mentor’s experience and advice. For those participating in the Professional Development Scheme it also counts towards satisfying relevant proficiency and experience requirements. Participation in the competition, especially winning the “Bursary of the Year” award, has helped previous Bursarians to attract the interest of their employer, to gain promotion, to be offered new jobs, and even to be invited to chair a conference session related to their paper. It can give your career a real lift. TPS BURSARY COMPETITION 2018 – Transport Planners and other disciplines better together ! Three submissions were selected from entries for the 2018 competition to write up their papers and present to board members. The judging panel (made up of senior TPS Board Members) deemed all the submissions worthy of the £500 prize money. Giulio Ferrini (Sustrans) - research into whether public transport–centric development risks suppressing more active travel, using Canary Wharf as an example. Matthew Parker - research into the impacts of new rail stations on vehicle ownership in associated settlements. Shona Rawlings (Peter Brett Associates) - research into the impact of Section 75 Planning Obligations on transport targets and objectives at Queen Elizabeth University Hospital, Glasgow. Elliott Read (Vectos) - research into the connectivity between existing local transport infrastructure and Manchester’s Home cultural centre. Elliott Reid (Aecom) - research into the success of “Designing Streets” principles in encouraging walking and cycling. The 2016 competition was held in collaboration with Transport Systems Catapult. We asked Bursarians to research and analyse the outcomes of any one application of technology in transport terms. For example, has SATNAV reduced the distance people travel? Has Uber affected modal share? Are journey planners encouraging use of public transport? Is in-vehicle technology making the roads safer? And then to consider how the same technology may be improved and applied in the future – maybe enhancing the technology, using the same technology in a wholly different way, or developing a new technology drawn from past experience. Joint prizes for “Bursary of the Year” were also awarded to Rebecca Craig and Catherine Evans for the excellence of their papers. For 2015, we asked applicants to consider how demand management could be achieved without full road user charging which has failed to gain public acceptance despite the potential benefits. In this context, how do we influence and manage transport demand for the good of all? Can smarter pricing approaches covering all modes provide a way forward? Or can travel behaviour be changed in other ways, at a local or strategic level, using either carrot or stick? Will new means of accessing travel options through mobile devices offer new options for transport planners? How can land use planning help reduce the demand for travel? And how do we evaluate the full and wider benefits of active travel to better justify their inclusion in transport planning? Three winners were announced at the AGM on 3 March 2016. Melina Christina was awarded the prize for Bursary of the Year at the TPS meeting on 3 March 2016. Melina explained the potential benefits of peak spreading on London Underground. Through a literature review and a survey of central London employees, she identified the opportunities and constraints involved, and the incentives needed to achieve it, such as financial savings for travelling off-peak and realtime information about crowding. Case studies from overseas supported her conclusions. For the 2014 Awards we asked applicants to tell us what an incoming government should do to improve planning for transport. With a General Election in 2015 and elections to the Scottish Government and Welsh and Northern Ireland Assemblies in 2016, it’s a good time to consider what any future government’s priorities should be. In the last few years, many experts have questioned the current system of transport appraisal and theaccuracy of national road traffic forecasts. Other recent developments with a potential impact on transport planning include an increasing role for the private sector in local decision making on transport and the return of theresponsibility for public health to local authorities.Transport planning also needs to help meet the challenges of climate change and poor air quality, and to secure transport system resilience to extreme weather events. Ward Alsafi (JMP Consultants - "Space and Flow: How can the Government better link Land Use and Transport Planning ?" John Bradburn (Atkins) –"Planning our Nationally Significant Transport Infrastructure: time for a re-think or business as usual ?" Stuart Northall (Mott MacDonald)- " Improving the political case for transport investment:: an ex-post evaluation of the external benefits of the Nottingham Express Transit LRT Scheme"
James Rhodes (JMP Consultants) – "What should an Incoming Government do to improve Planning for Transport? 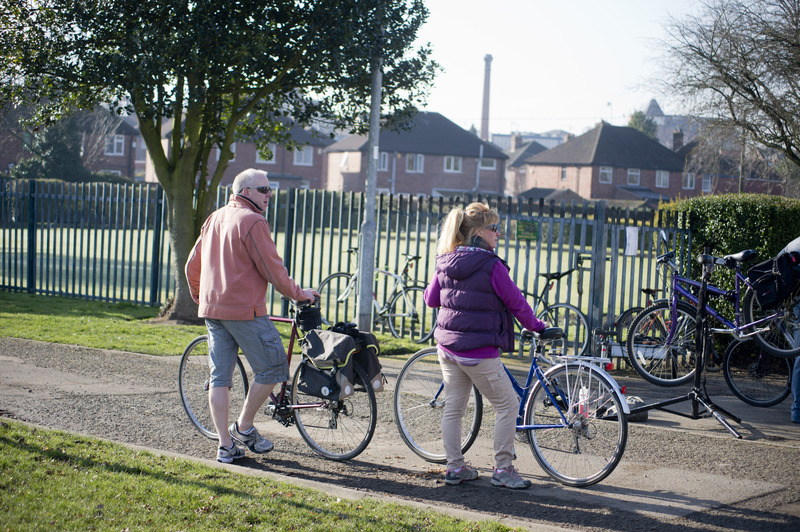 Include Local People" - An investigation of the relationship between transport and health whilst examining the importance of local people and adopting a bottom-up approach to transport planning ploicies and procedures. Their papers are available for download by clicking on the above links. Stuart Northall was awarded the prize for Bursary of the Year at the TPS meeting on 23 April 2015. People who walk and cycle are often considered to be 'vulnerable'. However smarter choices are not just about safety - it's also about policy and the legislative context. We are inviting contributions to the soft measures debate on this theme with an emphasis on promoting smarter choices initiatives successfully. There has been a lot of debate about soft measures in terms of their potential impacts and value for money, especially when compared with infrastructure schemes. How can we address issues of ‘vulnerability’? How can many more people overcome their perceptions and move towards smart choices for regular journeys? Should initiatives include a mixture of infrastructure and empowerment? Is the terminology correct? How can a shift from car use be achieved and what measures are likely to be most effective? Applicants were asked to frame a specific title and subject for their bursary paper, of their own choice, relevant to the theme and to transport planning in the UK. Rebecca Fishburn (Atkins) - Reaching the target audience: how can we encourage increased mode shift if our surveys are biased towards those already using smarter modes? James Gleave (Central Bedfordshire Council) - Helmets, a help or hindrance when promoting cycling? Helen Jones (MVA Consultancy) - London 2012: a platform for a successful behaviour change programme? Rebecca Fishburn won the 2012 bursary. 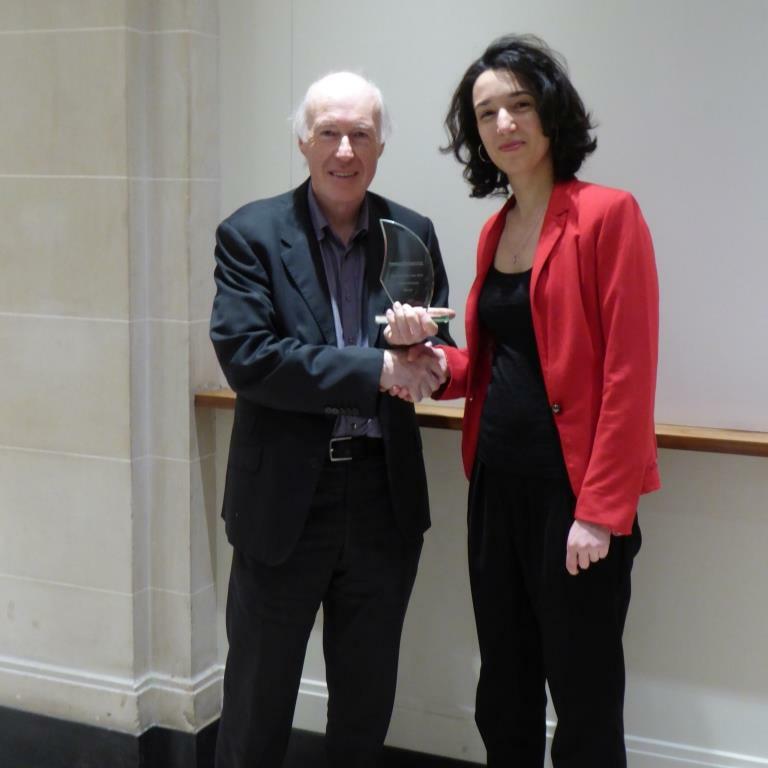 Rebecca is pictured here receiving the award from Keith Buchan. The Bursary Awards for 2011 were all centered on the theme of: 'How will localism affect the planning, co-ordination and delivery of land use and transport'. Our five successful bursarians come from Somerset, Norwich, London, Nottingham and Birmingham. Their Bursary Papers can be read by using the links below. The Bursary Award evening was held on 10th May 2012 in London, where two of the successful bursarians presented their papers and sparked a lively discussion into localism. The 2011 'Bursary of the Year' prize was awarded during the evening to Stephen Walford for his paper ‘Bananas with Pickles: Does the localism menu risk creating the recipe for strategic malaise?’ Congratulations Stephen! Keith Buchan, the Chair of TPS, seen here with Stephen, the Bursarian of the Year, and Alina who presented at the TPS Bursary Evening on 10th May 2012. Stephen Walford, Somerset County Council: Bananas with Pickles: Does the localism menu risk creating the recipe for strategic malaise? To read Stephen’s Bursary Paper please click here. Alina Tuerk, Mott MacDonald London: Power to the Cyclists: Opportunities for partnerships between transport planners and cycle campaigners. To read Alina’s Bursary Paper please click here. Emma Kinsey, Norfolk County Council: Delivering transport initiatives through the localism agenda; will it create a fairer society? To read Emma’s Bursary Paper please click here. Stephanie Norris, Integrated Transport Planning, Nottingham: Localism – Harmony or Conflict in Transport Planning. To read Stephanie’s Bursary Paper please click here. James Beard, Mott MacDonald Birmingham: ‘Their plans for their areas’: Flexible geographies and what ‘localism’ could mean in the context of transport planning. To read James’ Bursary Paper please click here. The Bursary Awards for 2010 were all centred on the theme of: 'Getting sustainable transport planning right into an age of public sector austerity'. Our six successful bursarians come from Birmingham, Edinburgh, London, Manchester and Newcastle. Their Bursary Papers can be found in our online library. For the first time, the TPS awarded a prize for 'Bursary of the Year'. The standard of the papers was so high that it was decided to award a joint 'Bursary of the Year' to Graham Grant and Mark Powell. Congratulations to you both! Victoria Hills, then Chair of TPS, seen here presenting the awards to Graham and Mark at the TPS AGM on 23rd February 2011.